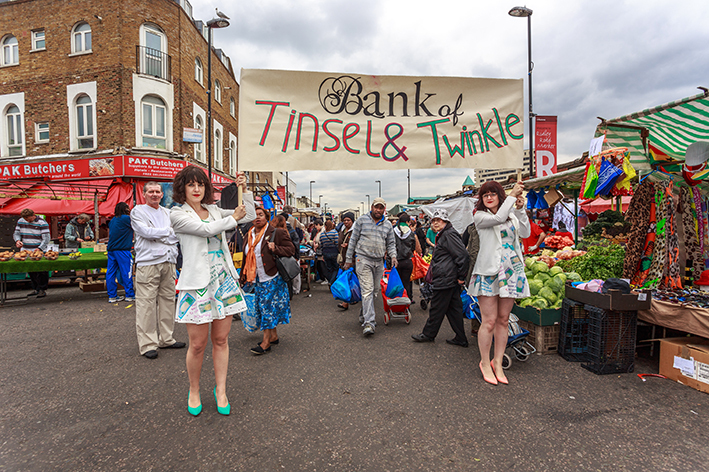 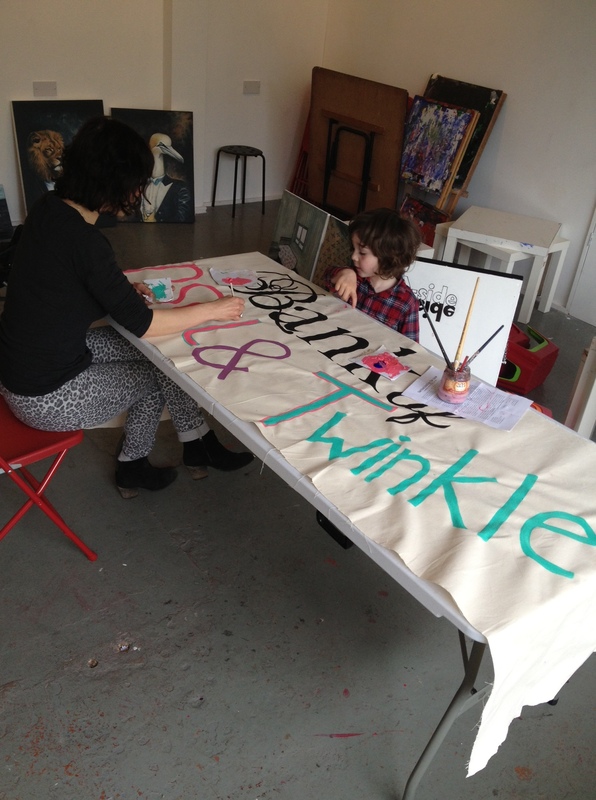 We’ve been busy working away creating the sign for The Bank of Tinsel and Twinkle, ready to take to the Art Car Boot Fair on June 9th! 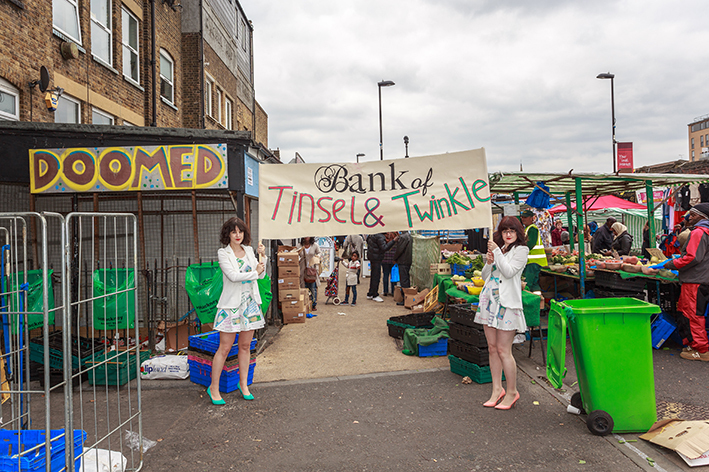 The market at Ridley Road in Dalston worked out as the ideal location for the shoot, positioning our Bank in amongst all of the independent traders. 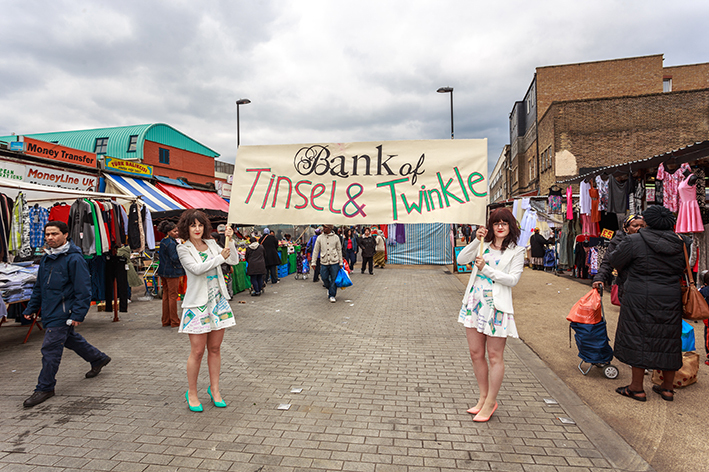 Originally we considered doing the photoshoot using Canary Wharf as the backdrop but we decided on Ridley Road market because it seemed more fitting to the ethos of our bank. 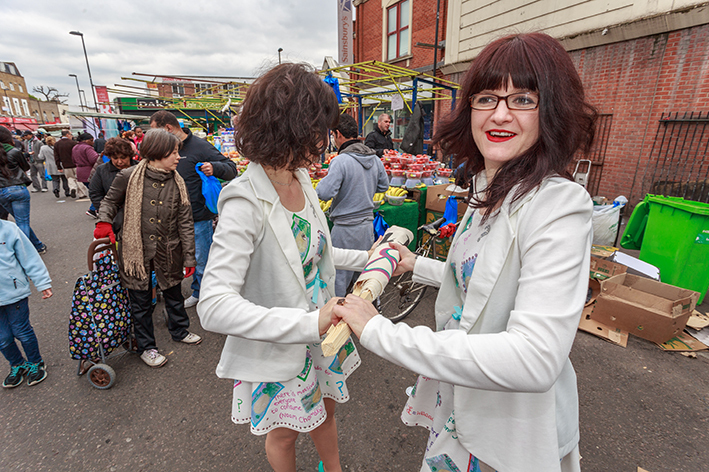 Being positioned in the midst of a bustling market is about bringing trading back to its roots, a very human form of trade that is booming due to how expensive shops are. 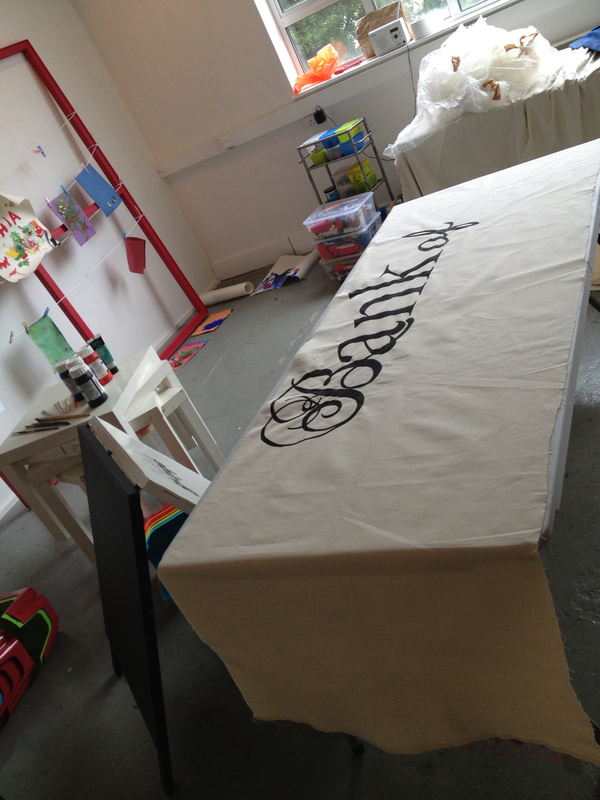 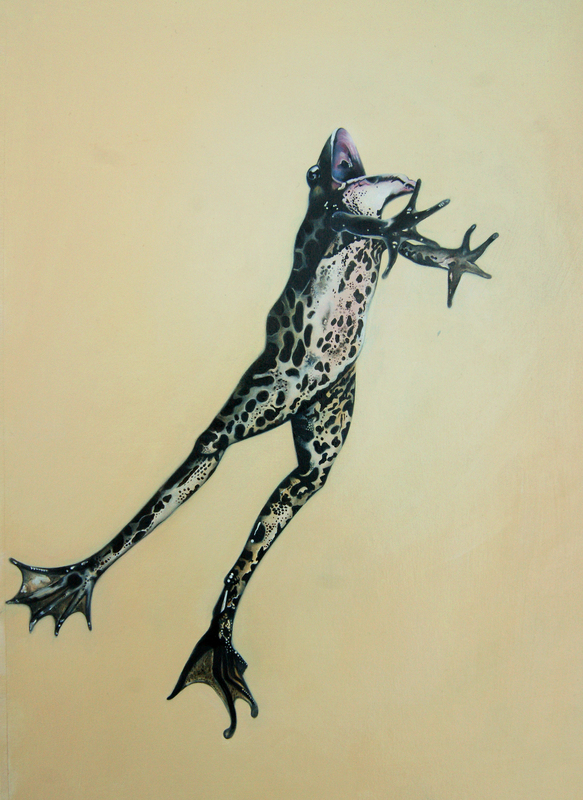 The ethos of the bank is about sharing and exchange, we trade in thought rather than money. 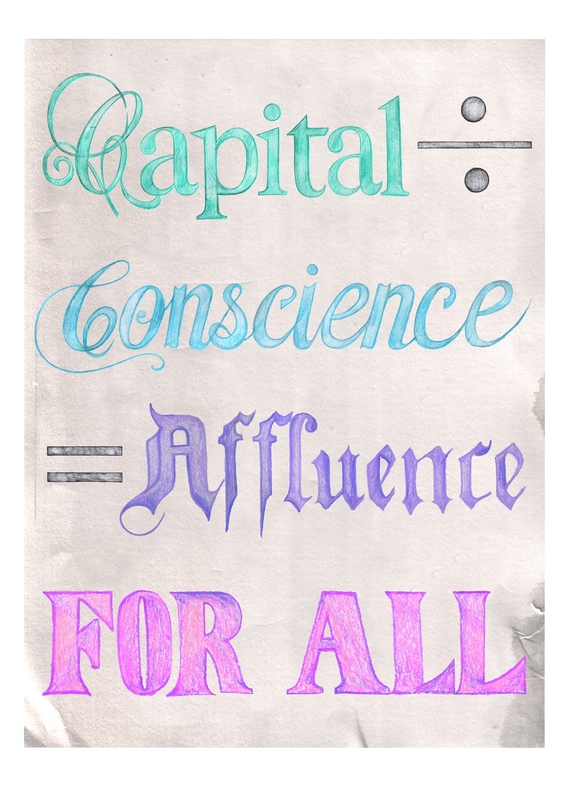 We aren’t protesting about money itself but more so commenting on greed, and suggesting that capital is more useful when it is shared. 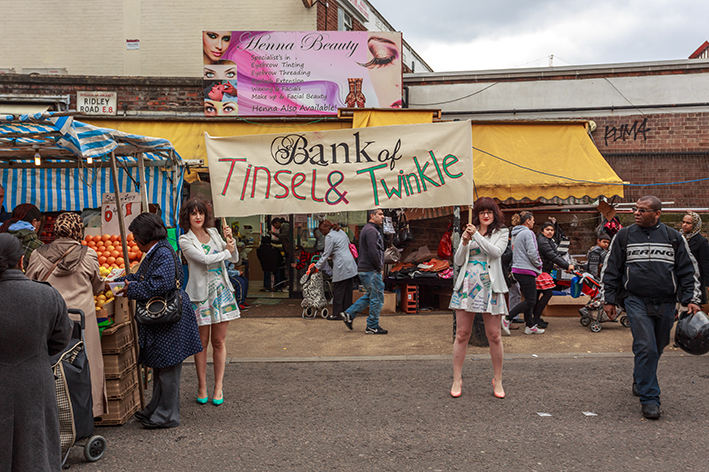 So we took our independent bank and set up amongst the other traders at Ridley Road. 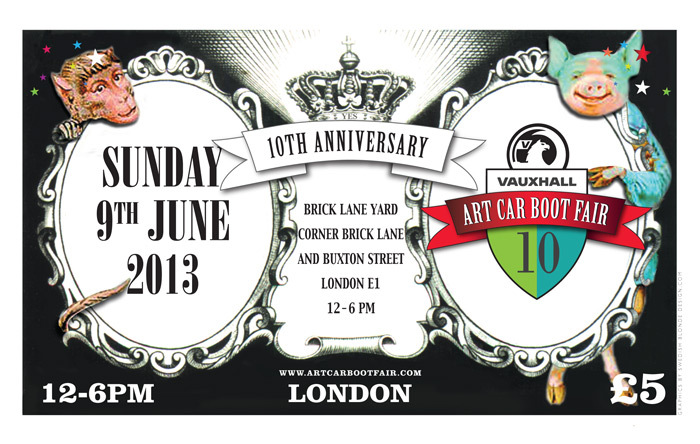 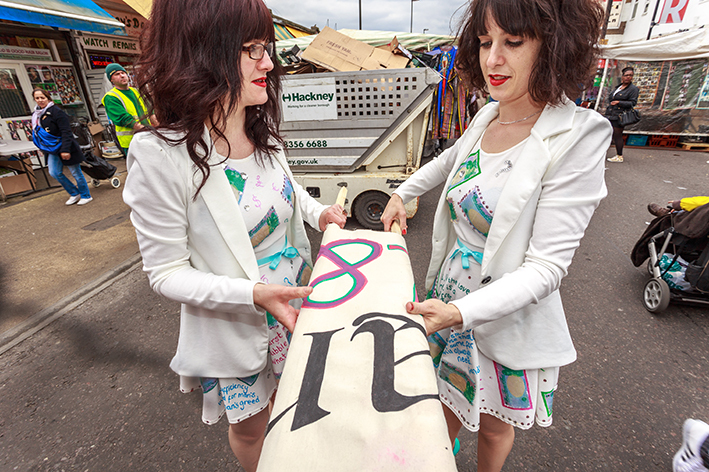 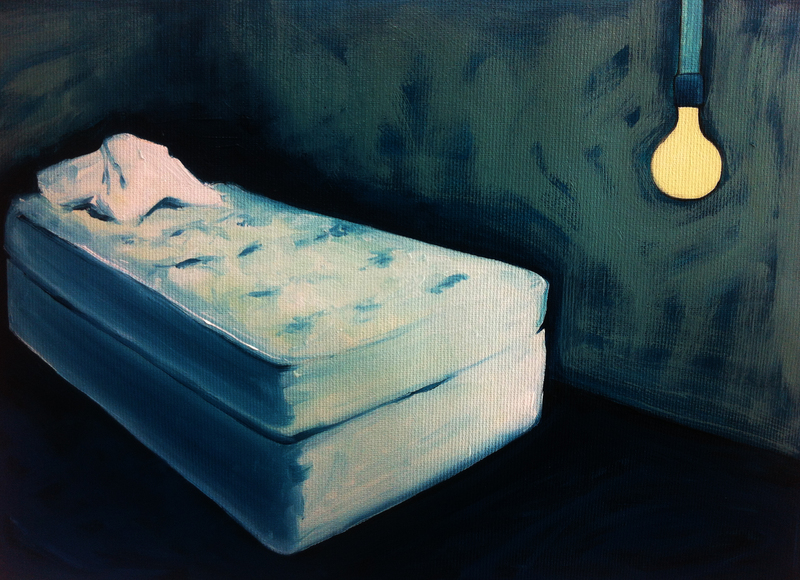 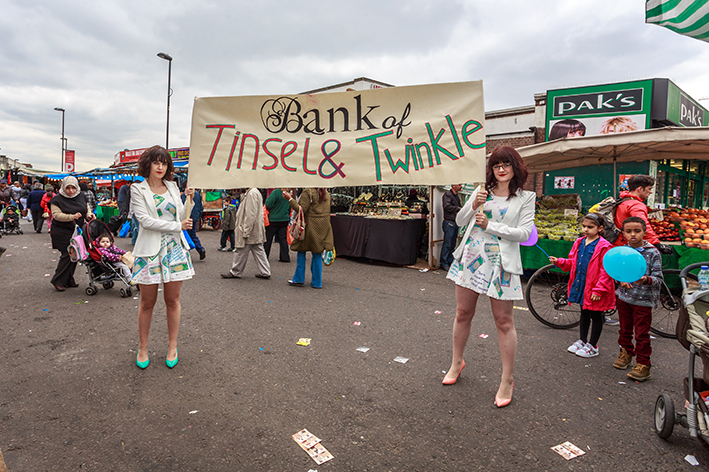 We will be running our Bank of Tinsel & Twinkle at The Art Car Boot Fair on June 9th, do come and say hello!